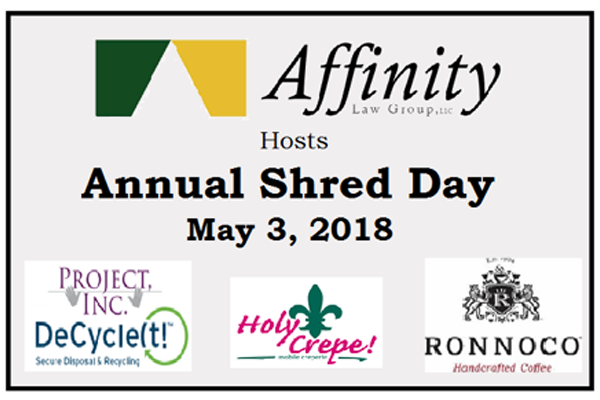 Shred Day – Breakfast is on us! Unsure of what documents you need to keep? Just want to swing by and say “Hello” to your favorite attorney? Come by and look for our green tent outside! Rain or shine… come visit! Holy Crepe! food truck will be with us. They will be serving freshly baked breakfast Crepes and much more. We look forward to seeing you! Paper clips and staples are OKAY!